How long is the show? A typical show is between 25 - 45 minutes. 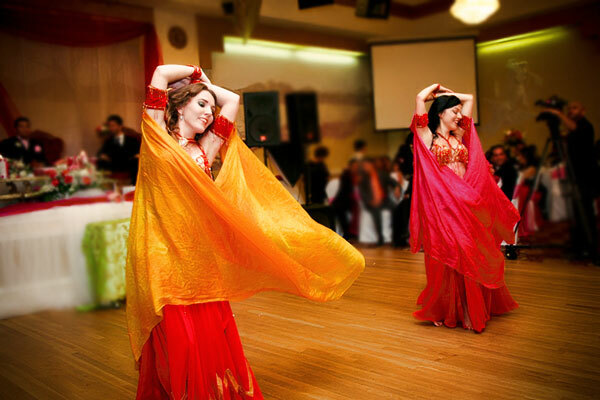 The belly dancer may use finger cymbals, veils or sword. When appropriate, the show may include audience participation, for example, the guest of honor may be asked to belly dance! Is it appropriate for children? 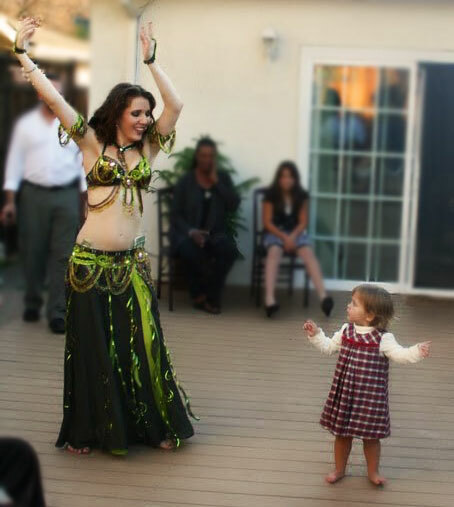 Yes, the belly dance show is family friendly. Children often love to dance, too! Will she bring music? 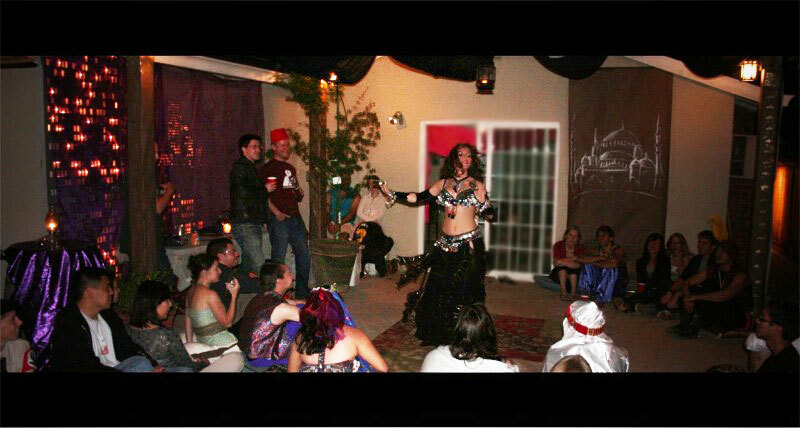 The belly dancer provides an Arabic music CD and the venue should provide the sound system (louder is better). Usually the dancer will stay out of sight until the CD has begun playing. Live Persian or Arabic musicians and singers can be arranged upon request. What kind of music is used? Depending on your preference, music can range from classical Arabic to modern pop. Maria's music collection also includes Russian hits and contemporary Turkish and Persian favorites. How far in advance should I make the booking? It totally depends. It is always better to book the show sooner than later. If you are flexible about the time that the show begins, last minute shows can often be worked in. However, Saturday nights during the holidays and during wedding season (May - September) tend to book out completely. What if I need more than one belly dancer? 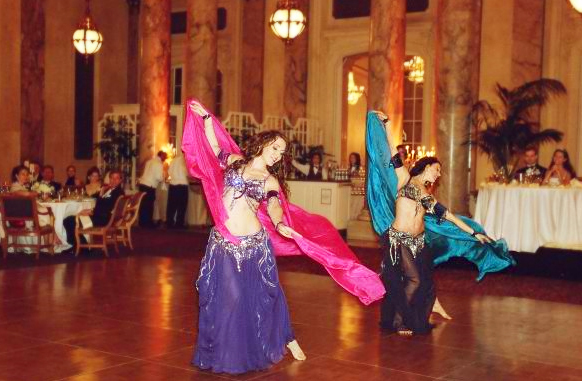 Hire a group of beautiful, talented and professional belly dancers! Maria collaborates with other professional troupes and artists to provide performances for large venues. Is tipping appropriate? Yes. Unless the host has requested otherwise, the dancer will gladly accept tips. Tips may be tucked into the dancer's belt, shoulder strap, glove, thrown above her head as a "money shower" or added to the payment. What kind of payment accepted? The payment is due immediately after the show. You can pay with cash or personal check. Paypal payments can be arranged if you pay in advance.